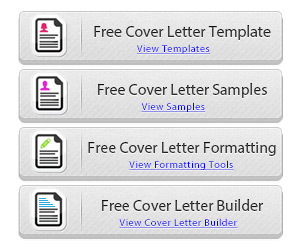 This post includes a cover letter for university business student with internship experience. This college student is looking for a job in marketing. 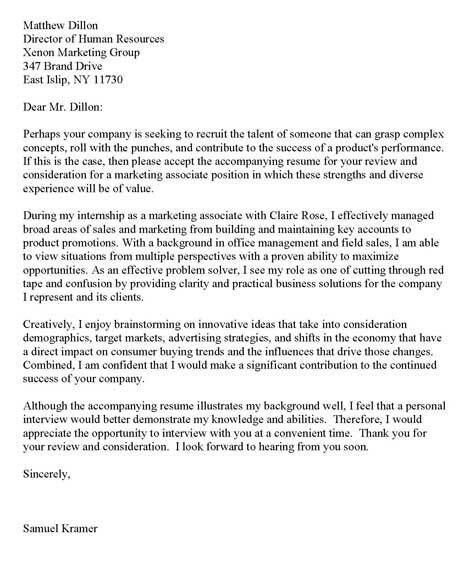 This cover letter is addressed to a specific HR Director. However, the document but does not indicate that the job seeker is applying for a specific position. The writer has identified the job seeker’s major skill sets and highlighted those areas based primarily on a past marketing internship. The job seeker emphasizes experience in sales and marketing of key accounts. They also mention experience in office management and field sales. Additional qualifications are presented, which include: problem solving, brainstorming and providing practical business solutions. The closing paragraph invites a personal interview and thanks the reader for considering the candidate for the position. 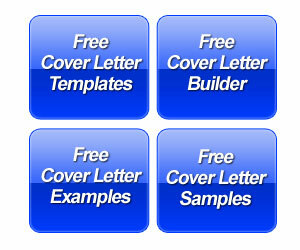 There is no doubt that the internship cover letter is one of the most difficult to write. As a student or career changer, you may lack experience in the field needed to fill up the letter with meaningful content. For starters, create statements that define your current level of education and the classes you have already taken. Explain why you need the internship and how you can help based on what you learned in school. Moreover, if you have any past experience try to emphasize transferable skills. Even working in part time jobs you usually can develop some aspect of communications, sales or customer service. Also remember that people who hire for internships usually have a lot of basic duties they need performed. So it can beneficial to stress that you are willing to do whatever is necessary. Some people want an internship and only do a job that is 100% related to their degree. Others are not afraid to make documents, type memos, deliver letters and do some of the grunt work. If you really want the internship, try presenting yourself as someone that is not afraid of hard work.